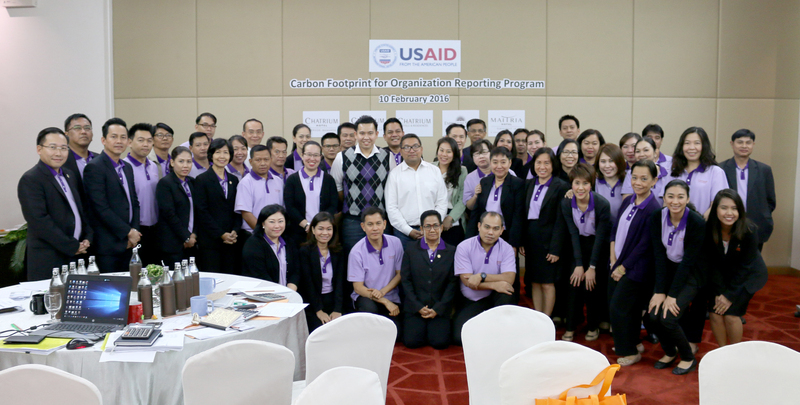 Chatrium management participated in a “Carbon Footprint for Organization Reporting Program” at Chatrium Hotel Riverside Bangkok to discuss conditions required to reduce the amount of carbon dioxide and other carbon compounds emitted by the hotel, referred to as a “carbon footprint”, which has a negative environmental impact. This is our newest eco-friendly project of “Think First Think Earth, and “Live the Remarkable”. “Think First Think Earth and Live the Remarkable” represent a precious snap shots of happiness, fulfilment and comfort moments beyond expectations with intensive earth care. Chatrium symbolizes a brand with a personal touch, genuine and honorable. Our properties are born from a comfort culture, crafted from the passion to embrace and innovate with our commitment to deliver a bespoke service and remarkable experiences into every detail.